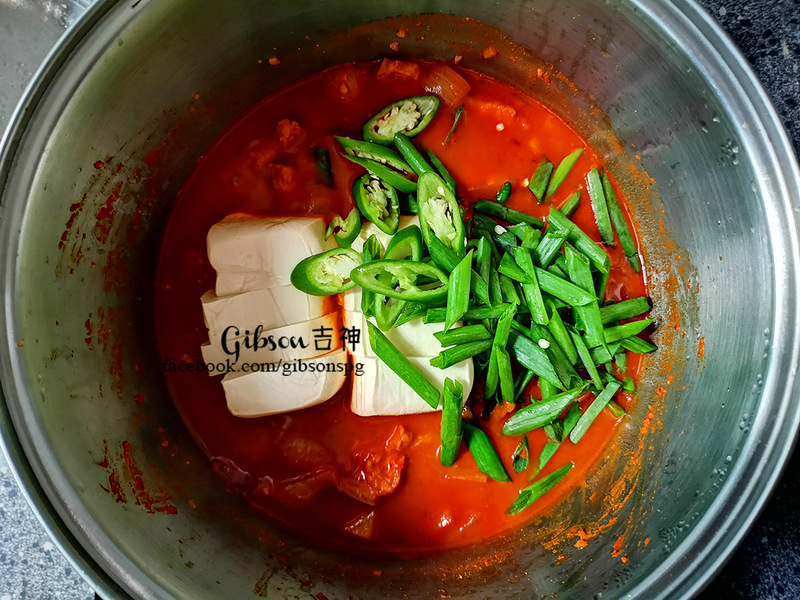 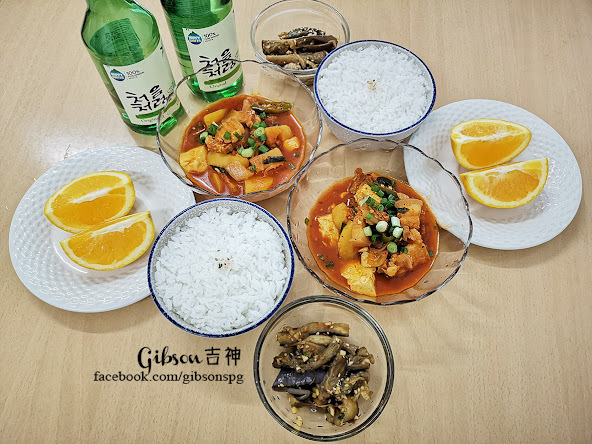 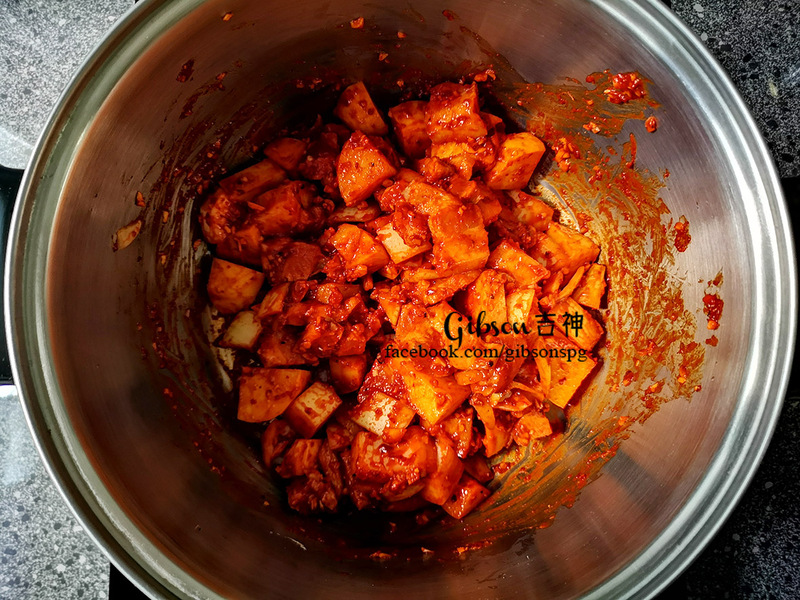 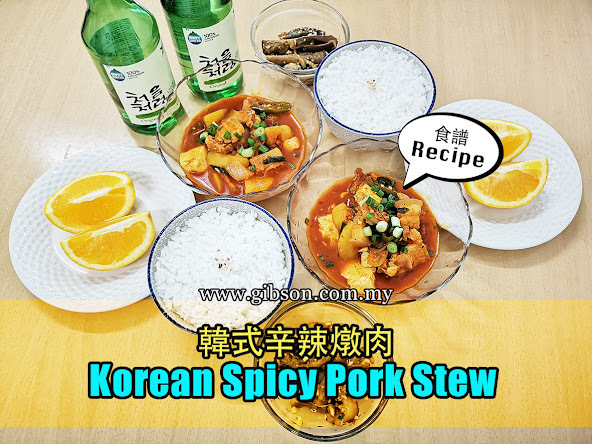 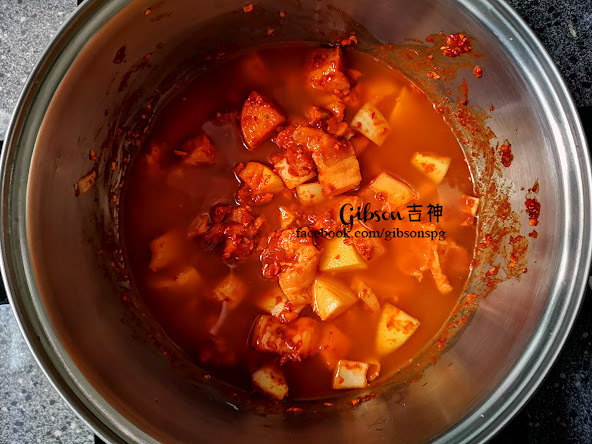 Have been a while haven't share any recipe, here is a super easy recipe for Korean spicy pork stew, just 4 step to cook and 1 step to culinary satisfaction. 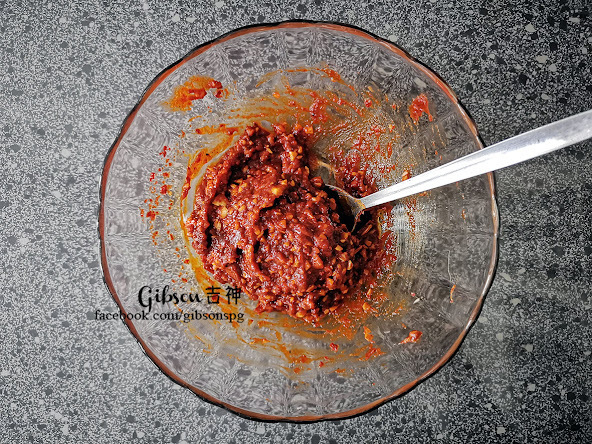 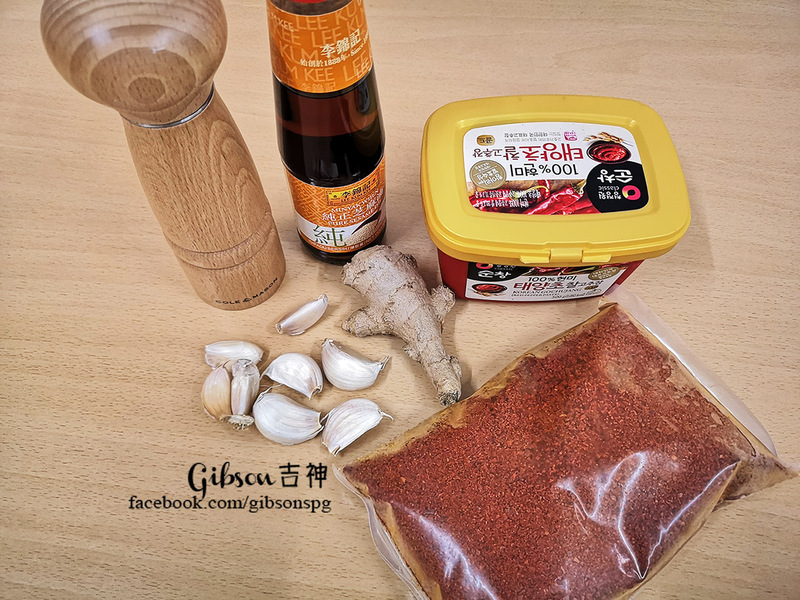 Minced garlic, minced ginger, hot pepper paste (Gochujang), hot pepper flakes (Gochugaru) 1 tablespoon, sesame oil 2 teaspoons and black pepper. 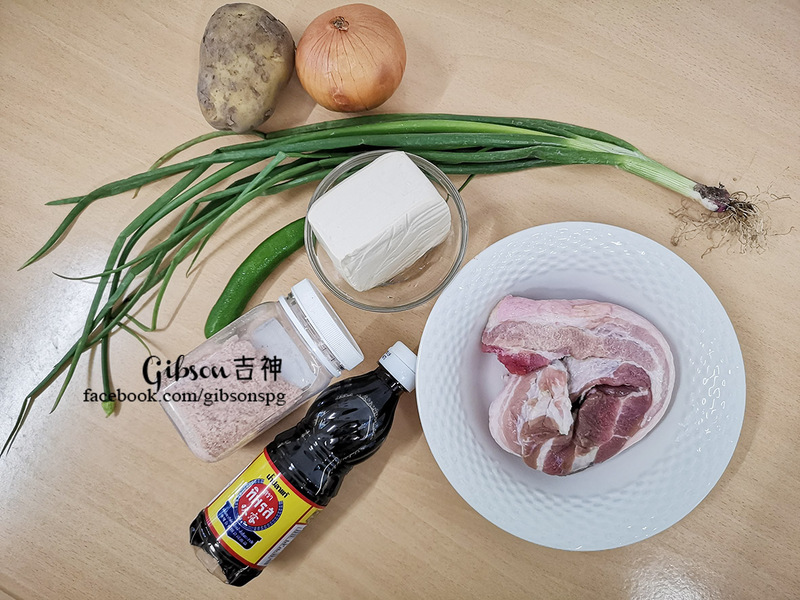 Pork belly, onion and potato cut into chunks, spring onions, green chili, tofu, fish sauce and salt 1 tablespoon. 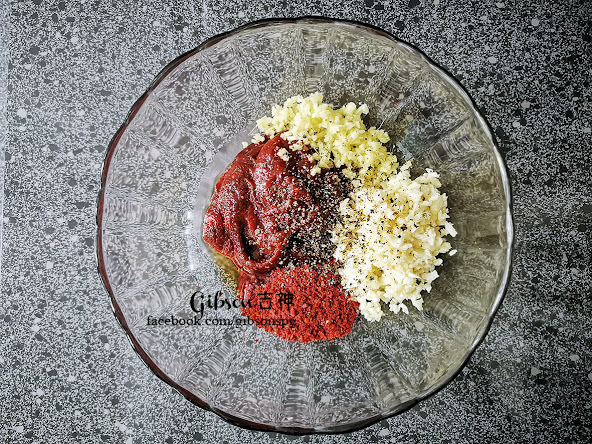 Mix all the seasoning paste ingredients. Mix the onion, potato chunks and porks with seasoning paste, then marinate for around 15 minutes. Add in water, fish sauce and salt to the well marinated pork, then cook for 25 minutes over medium high heat. Add in tofu, green onions and green chili to the stew, cover and cook for another 10 minutes. 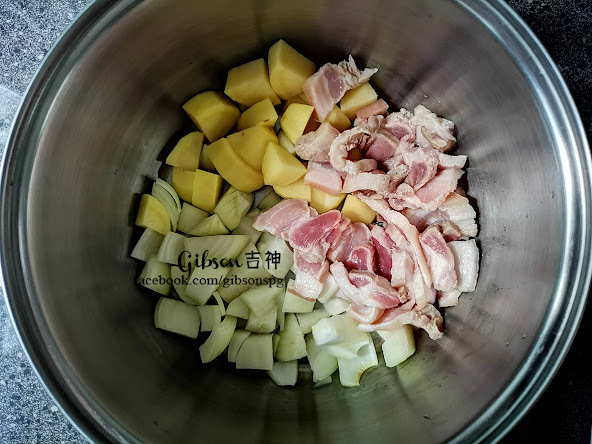 We are done and served with steamed rice. 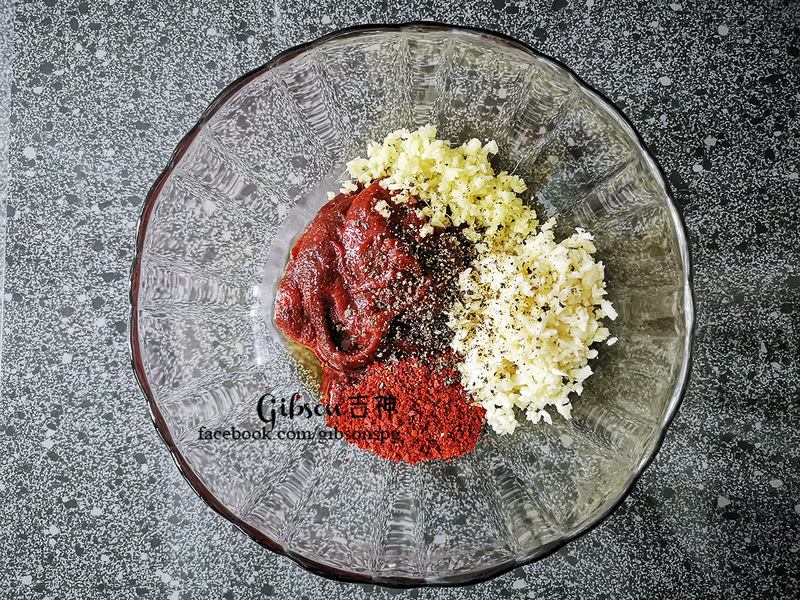 Before served, you have to make sure the saltiness hasn't overpower the sweetness, if so can add some sugar to balance it.